Starring Zachary Levi, Asher Angel, Jack Dylan Grazer, Mark Strong, Djimon Hounsou, Grace Fulton, Faithe Herman, Ian Chen, Jovan Armand, Cooper Andrews, Marta Milans, Adam Brody, Michelle Borth, Meagan Good, Ross Butler, and D.J. Cotrona. One of the appeals of the superhero genre, especially for much younger fans, is imagining yourself in the role of the superhero with all their mighty powers and the things that could be done with them. Shazam! 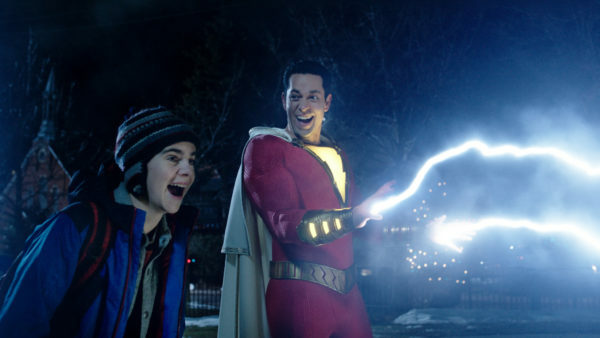 is basically one big lampshade of this as Asher Angel’s 14-year-old Billy Batson is deemed worthy by a powerful wizard to become a hero and given a vast array of abilities, including growing into a full-sized man played by Zachary Levi. Shazam! succeeds not only because of how well it plays with this trope, but also due to the strength of Levi and Angel’s acting, the chemistry with the cast and light-hearted and heartfelt story on discovering found family. Levi is perhaps the strongest aspect of the film as he perfectly embodies a child suddenly grown into a man gifted with so many superpowers. He’s very charismatic in the role and does well balancing the humourous and seriousness of Shazam by showing the amount of growth Billy goes through over the course of the film. To that end, he and Asher Angel compliment each other very well in their mannerisms and growth. Angel himself does a great job during his ‘normal’ scenes as he delivers a nice amount of depth to Billy’s character through his humour, sense of loneliness and desire to be as independent as he can. One particular moment with Angel shows how capable he is in the role as he goes through a whirlwind of emotions pretty quickly. Both Levi and Angel are the heart and soul of Shazam! and make it easy for the audience to root for them. Out of the ensemble cast, It‘s Jack Dylan Grazer gets the most screentime as Billy’s new foster brother/best friend/superhero manager Freddy. He has a great rapport with both Angel and Levi as he helps test Billy’s powers and tries imparting as much knowledge of superheroes as he can, particularly the morals they should have. While Grazer is comic relief for the most part, he also shows there’s more to Freddy than just his sarcastic nature. The rest of the family, which includes Grace Fulton, Ian Chen, Jovand Armand and Faithe Herman, are good though they don’t get quite as much to do or exploration as Freddy. This starts to change during the second half of the film as the siblings come together and act as a group, but outside of Fulton’s Mary and perhaps Herman’s Darla, the other siblings don’t get much development. 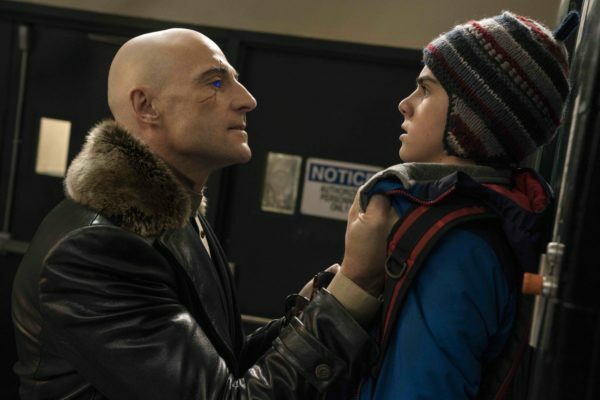 It should come as no surprise Mark Strong is able to stand out as the villainous Dr. Thaddeus Sivana, an evil scientist trying to unlock the mysteries of Shazam’s powers and gain them for himself. Strong shows he’s pretty capable as Sivana and is able to deliver a menacing presence. Sivana’s characterization offers a couple nice parallels to Billy, though he isn’t given too much depth beyond a scorned and resentful outsider. The same goes for Sivana’s powerful allies, none of whom really vary in their appearance or personality. While Strong gives a good performance, there really is only so much he can do with the material. Shazam! offers some of the most fun you can have with a superhero film. It is very funny film with a great amount of the jokes landing perfectly. It pokes fun at several of the tropes found in these films, from the training montages, villainous monologues to the collateral damage caused by superheroes. Despite that, David F. Sandberg shows a large amount of love to the genre with his direction and balance of tone. Shazam! doesn’t just offer a ton of laughs, but focuses a lot of the story on Billy’s issues as he struggles to connect with his foster family and open himself up. It’s a pretty heartfelt story about found family as well as what actually makes someone a hero. 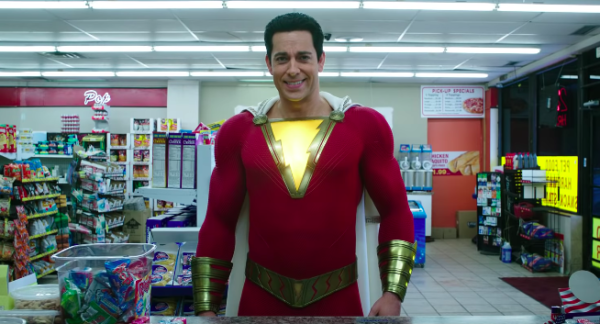 So much of Billy’s motivation when he becomes Shazam is driven by fame, money and independence that Sandberg and the film don’t really shy away from how much of a jerk Billy could be while focusing on his growth. The film’s pacing is also well done as there’s never really a dull moment. It never feels at odds with the film’s tone and its emphasis on Billy’s character development. 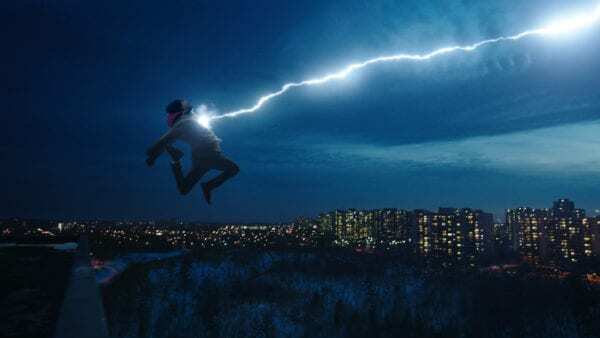 The action is also presented in a crisp and clear manner that evokes other superhero films, but finds ways to speak to its own voice through its humour and the powerset Shazam has. The transformations Billy does, especially mid-battle, into Shazam and back are effective and look great. 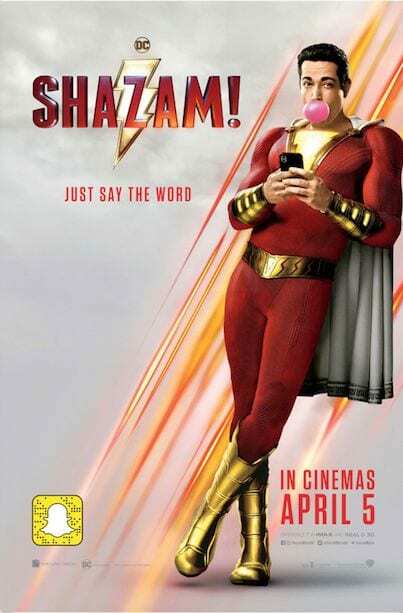 What Sandberg and Warner Bros. deliver with Shazam! is a very entertaining film with a great balance of humour and heart. Levi and Angel make a nice pair while the rest of the cast share connections and chemistry that feel earned and relatable. While the film’s villainous aspect could have been better, the focus on the characters over the action is quite strong. Shazam! may be a fun time at the movies, but the way it embraces its characters is the reason it succeeds so well.